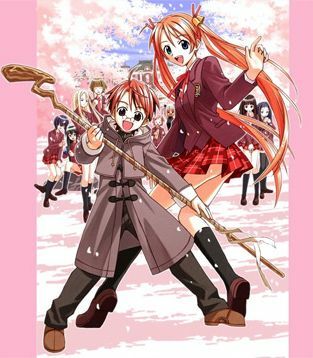 Anime Profile: Magic Teacher Negima! Magister Negi Magi(alternate title) Magic Teacher Negima! The above info came from Joe M. and Hikari Mitsuki, and was edited by yours truly (contact me). The image came from ANIDB.net. Anime Characters: Magic Teacher Negima! 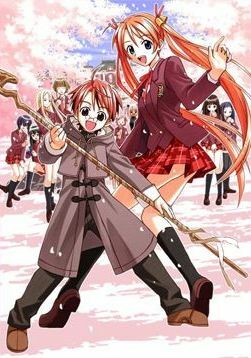 Anime Description: Magic Teacher Negima! Ten year old Negi Springfield is a graduate from Magic School and in order to complete his training, he must teach English in Japan...to a all-girls classroom in a Junior High all-girl school! Not only that but because of shortage of room, he has to bunk with Asuna, the one girl that doesn't adore him. Will Negi be able to survive despite all his magical mistakes, being creamed by Asuna, and constantly being cuddled by every girl who sees him? The above description came from Joe M., and was edited by yours truly (contact me). Mahou Sensei Negima is about a 10-year-old-kid who is practicing magic to become a master wizard. Ordered to be a teacher in one of the high schools in Japan for his training, our magician Negi is tasked to help his class of 2A, which consists of 30 cute yet underachieved girls, to pass the final examination. And the problem is: all the time he has is just two weeks! So can practical magic be of any help or can they come out of the exams with flying colors relying on their own magic? The above description came from Hikari Mitsuki, and was edited by yours truly (contact me). When a class of all girls get's a 10 year old boy teacher, well things get a little wild. He can't even keep his control his class without getting hugged, or shoved out the way. But, don't get tricked by his cute looks, Negi is very powerful with magic strong enough to blow down a building! And he has great control over his powers, but what about his class? Let's say they have perfect control over him. The above description came from Keri, and was edited by yours truly (contact me).